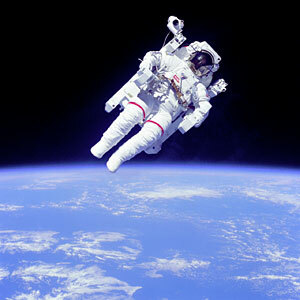 NASA has developed special suits to handle the harsh environment of space and also to deal with toxic and explosive propellants on the ground. As we all witnessed during the aftermath of the tragedy in New York and Washington, D.C., urban firefighters also have to deal with extreme temperatures and toxic compounds released during fires. Thus it makes sense that NASA technology is being adapted to help firefighters and military bio and chemical hazard cleanup crews. Work on this life-saving spin-off technology began in 1997, and the first fruits are expected to be ready for commercial sale this December. The program began when firefighter Gary Vincent, now the Assistant Chief of Planning and Research at the Houston Fire Department, brought a badly damaged helmet to NASA Johnson Space Center. He met with NASA engineer Tico Foley to explore ways to use NASA space suit technology to improve firefighter protection, endurance, and safety. “Many problems that they were facing were the same problems that we had already solved for the astronauts’ space suits,” Foley said. According to Foley, there are three things that limit a firefighter’s time on the front line to about 20 minutes: 1) they run out of fresh air to breath, 2) the fire gets too hot even through protective clothing, and 3) the muscles create heat inside the clothes and get so hot even without a fire, the firefighter can die of heat stroke. Space suit technology is being used to address all three of these problems. 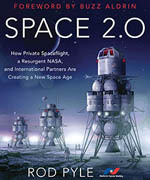 Foley joined a team of ten civil servants and several support contractors including Aerospace Design and Development, Oceaneering Space Systems, Johnson Engineering/SpaceHab, ILC Dover, Delta Temax, and Lockheed Martin, to work on transferring space technology to the private sector. Heat stress kills more firefighters than smoke inhalation and even chemical poisoning. Yet conventional fire protective clothing covers the skin and interferes with perspiration. Trapped sweat and the physical stress of fire fighting combine to make the firefighters body heat and heart rate soar to dangerous levels. Heat stress forces most hazardous materials workers to stop work about every 15 minutes. 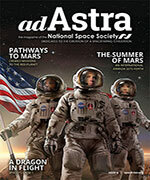 Dr. Hal Gier of Aerospace Design and Development, Inc. of Niwot, Colorado, working in cooperation with Kennedy Space Center and the U.S. Air Force, developed a solution. It’s called the Supercritical Air Mobility Pack (SCAMP) system and provides both body cooling and breathing from supercritical cooled (cryogenic) air. The cryogenic compressed air is in a vacuum bottle called a dewar. The cold air passes through a heat exchanger in the backpack where it is warmed by heat from the firefighter’s body to a temperature of about 50 to 60 degrees Fahrenheit that is comfortable to breathe. The firefighter wears an undergarment laced with tubes containing a flowing water and antifreeze mixture. The firefighter’s body heat warms the fluid in the liquid cooling garment. The liquid is then pumped to the heat exchanger where it is cooled by the cold air from the dewar. PHOTOS: LEFT: The SCAMP system is shown during a demonstration for the BBC program, “Tomorrow’s World,” at the Aurora Training Academy. Photo courtesy Aerospace Design and Development, Inc. 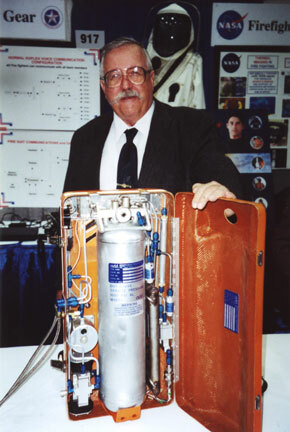 RIGHT: Hal Gier, Ph.D., stands behind his invention of a Super Critical Air Mobility Pack (SCAMP). The heat of exertion is absorbed by a cold fluid flowing through tubes in an undergarment. A heat exchanger in the backpack uses this heat to warm the compressed air in the tank for the firefighter to breathe. Photo by Marianne Dyson. “We don’t carry pure oxygen into a fire because of the fear of explosion,” Foley explained. “Instead, we carry compressed air — like in a SCUBA tank, only lighter weight than a SCUBA tank,” he said. A typical tank weighs about 30 pounds and lasts for a half hour. Because the SCAMP cooling source is the same air that is being used for breathing, no additional systems are required to provide cooling. “This keeps the total weight of the box and garment to about 28 pounds and gives twice as much air as compressed air (bottles) of the same weight,” Dr. Gier explained. Because of higher fluid density and lower pressure in the dewar, the SCAMP backpack is both smaller and lighter than the old Apollo-derived compressed air bottles. The super-cooled air is in a single phase state, allowing SCAMP to be operated in any position, including upside down. The technology behind SCAMP came from the Shuttle program where super critical hydrogen and oxygen are used for life support and fuel cell systems. A worker wearing a SCAMP unit can remain cool for a full hour of stressful labor, and two hours of moderate activity without having to resort to outside sources of cooling such as ice packs. Also, there is reduced logistics support because fewer air bottles are needed. “It is certain that there will be lives saved by the use of the SCAMP due to the increased time that emergency personnel can work without a refill,” Gier said. Tico Foley, Ph.D., is wearing the advanced prototype firefighter coat made from a PBO and Kevlar blend outer shell with a carbon felt inner liner insulation. On the left Dr. Foley is holding a sample fabric blend of PBO and Para Aramid (generic name for Kevlar) that was exposed to high heat flux and then withstood 210 pounds of force before bursting. 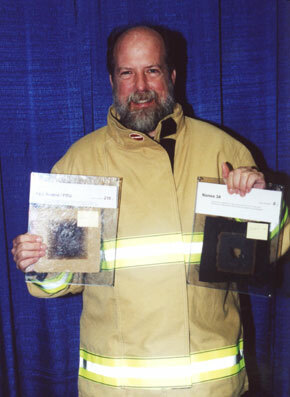 On the right a sample of Nomex shows that the same high heat blows a hole right through the fabric. Photo by Marianne Dyson. 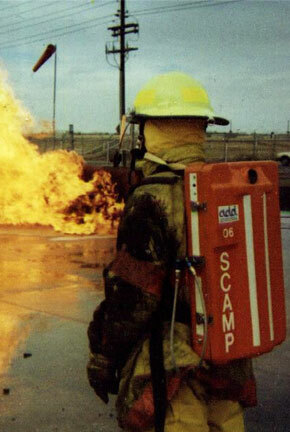 Used in combination with the SCAMP, the worker would be protected from exposure to toxic fumes as well. “Because of the breathing apparatus, a firefighter would not have to worry about breathing dirty or contaminated air such as the asbestos and dust in the air after the New York attack,” Foley said. For this reason, the Air Force participated in the development of SCAMP. “They bought a couple (of the prototypes) and are evaluating them for protection when dealing with biohazards,” Foley said. The SCAMP system will initially cost $8,000. “Our goal is to bring the cost of our suit to about $6,000 once they are being made in quantity,” Gier said. A standard self-contained breathing apparatus bottle, which lasts about half an hour and does not offer any cooling, costs $2,000- $2,500. Gier feels that regular use of active cooling and longer-duration tanks will reduce both the physical and emotional stress of firefighting. After all, there is nothing more heartbreaking than not being able to rescue someone because the firefighter couldn’t get to them in time. “We’re reducing the stress they’re under,” Gier said. “We feel there’s a percentage of people that we’re going to save their lives who will never know it.” And those firefighters in turn, will be able to save more victims from fires and exposure to toxic environments. After the attacks in New York and D.C., many people fear that a coordinated terrorist attack could cause a very serious environmental disaster. The use of space suit technology for firefighters is just one example of how space exploration is giving us the tools and the confidence to deal with any disaster that nature or terrorists put in our path to a peaceful future on Earth and in space.